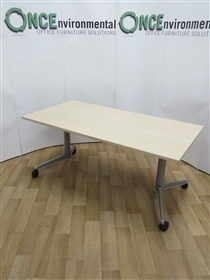 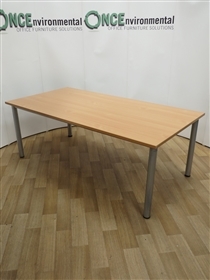 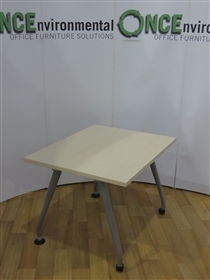 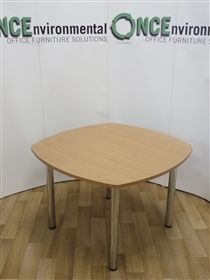 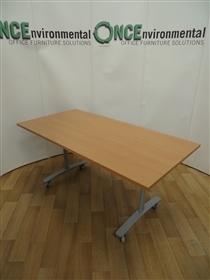 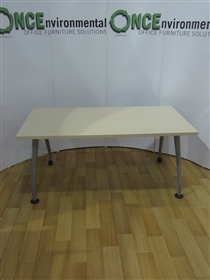 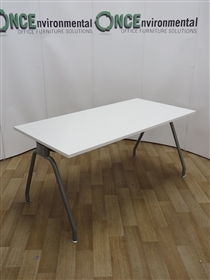 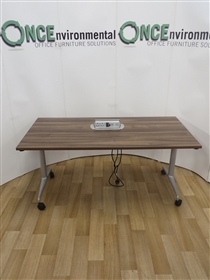 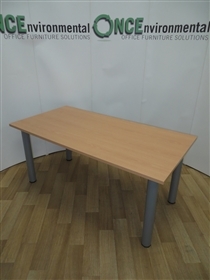 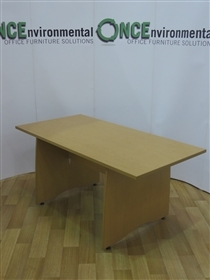 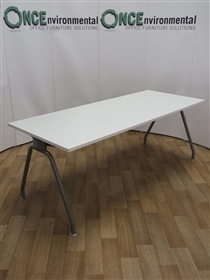 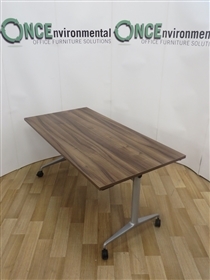 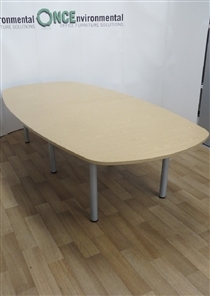 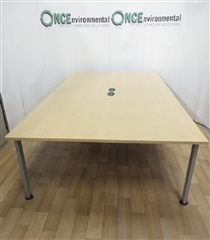 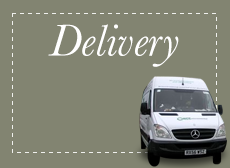 Our Used Product is in "As New" condition and by purchasing Used Office Conference Tables you are helping the environment as we reduce the landfill requirements of our PLC suppliers by up to 95%, by refurbishing and re-supplying to second users. 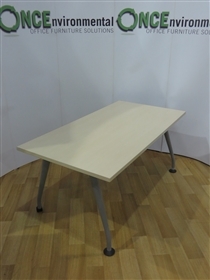 Weisner Hager N_Table 1600 x 800 In Light Oak Veneer. 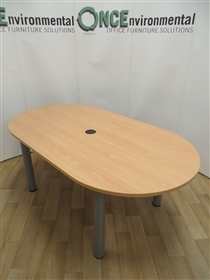 Light Oak Tilt Top 1600W x 800D and 1300W x 800D Table On Locking Castors.